The Traditionalist Worker Party, or TWP, secured legal permits from California Highway Patrol, or CHP, to hold a rally in Sacramento in June 2016. The activist group By Any Means Necessary, or BAMN, of which Felarca is a member, attended the event, which quickly became violent. A video from the rally showed Felarca punching TWP member Nigel Walker and receiving injuries in return. After the protest, CHP Protective Services Division investigated video footage from the rally and interviewed witnesses in an attempt to identify participants. 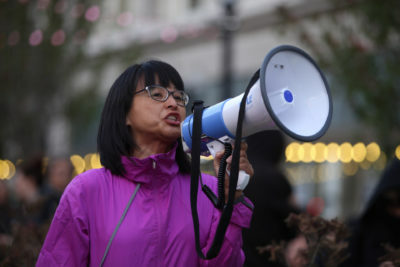 Felarca was arrested in July 2017 for her actions in the 2016 Sacramento riot. She was charged with assault by means of force likely to inflict great bodily injury, participating in a riot and inciting a riot. 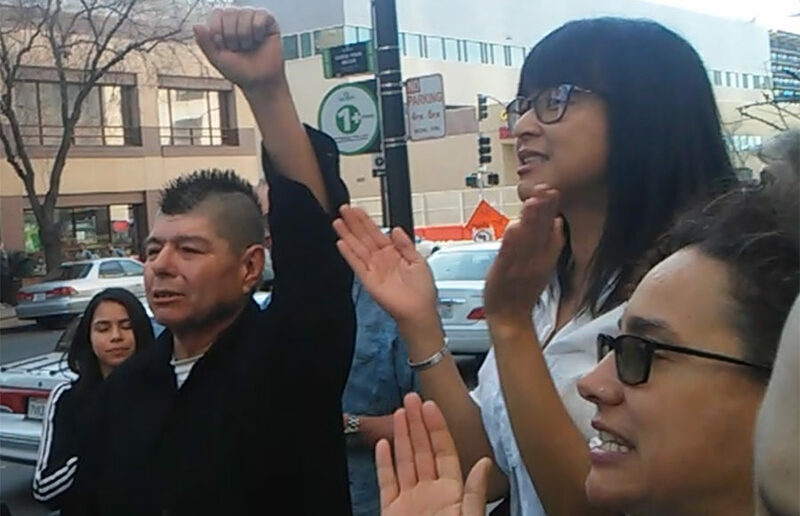 On Feb. 2, Felarca filed to dismiss the charges against her on the grounds of alleged discriminatory prosecution, insufficient evidence and violation of her ability to confront the witnesses against her. According to Felarca, these are violations of her 1st, 14th and 6th Amendment rights. Ronald Cruz, Felarca’s attorney, alleged that the police acknowledged the potential for violence during the rally and acted in a fashion that would protect the TWP. According to Cruz, police took a prolonged period of time to compile the case, and TWP members who were involved in violent acts were not charged for their actions. Court records appear to show California police officers sympathizing with neo-Nazis and attempting to protect their identities during the 2016 Sacramento riot, as reported by the Guardian. “The California Highway Patrol and Sacramento District Attorney covered-up for and colluded with the fascists and are carrying out a political witch-hunt against Felarca and other anti-fascist protesters,” Cruz said in the motion to dismiss brief. 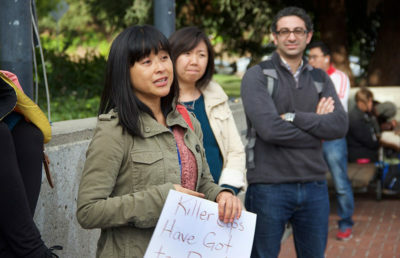 The hearing on the motion to dismiss the charges against Felarca was held at the Lorenzo Patino Hall of Justice on Friday. During the meeting, the hearing was subsequently moved to another department to be reviewed April 20. During the Friday hearing, about 50 people from Berkeley, San Jose, Sacramento and Los Angeles, including high school and college students, showed up to support Felarca. 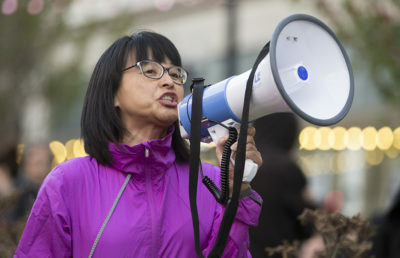 Outside the courthouse, Felarca’s supporters picketed and chanted “Drop the charges” and “No Trump, no KKK, no fascist U.S.A.,” while other supporters occupied the courtroom and hallway.